Is It A Good Idea To Enroll In CDPAP? For many individuals, taking good care of their sick loved ones is something that needs to be taken seriously. Having said that, lots of them are obtaining the services of caregivers. While this can be a good decision, remember that it will require you to locate the right specialists and also spend money on their services. So for individuals who want to personally provide home care assistance to their family members, participating in Consumer Directed Personal Assistance Program or CDPAP is one great choice. The CDPAP is a program that offers an alternative way of providing and receiving personal and home care services. It enables relatives or friends of care receivers to obtain the required knowledge and skill sets in offering the best home care assistance. So are you also thinking about using CDPAP? If yes, go through the next paragraphs to find out the advantages of doing so. By using CDPAP, the sick or disabled person will obtain the care services even while staying inside the house. Hence, you won't need to bring them to a health center for them to get the aid they need. And because they’ll be staying in a place they’re familiar with, they'll feel safe and peaceful at all times. On top of that, care receivers do not have to be taken away from their family members, and can also get the home care services from the individuals they trust. Moreover, you can be assured that they're secure at home while getting daily assistance and thus unnecessary hospitalization can be prevented. Another advantage of the said program is that it allows care receivers to obtain health services consistently. In case you're someone who engages in CDPAP, you can provide the regular assistance that your loved one requires. You will act as their caregiver and assist them in doing day-to-day tasks like eating, taking a bath, preparing food and even cleaning the house. Know that completing such tasks every single day is a great way to meet their needs. Moreover, you can keep track of the progress of their health and even figure out the additional services they might need. 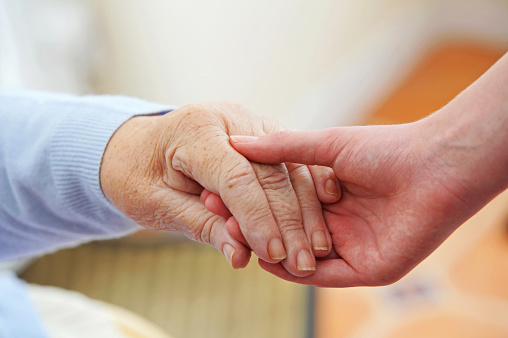 Allowing other individuals to assist your loved ones can be challenging. You'll have to personally find the best people, and even make certain that they constantly deliver the essential home care services. But with the help of CDPAP, you don't need to employ a caregiver that your loved one is unfamiliar with, which can make them feel lonely. With you as their personal assistant, they will have the assurance that they will obtain the outstanding service and care. This will likewise give them peace of mind because the individual taking care of them knows or understands their situation very well, ensuring they are at ease at all times. These are only a few of the good things that you can get from participating in CDPAP. Because of this program, you can be certain to give the necessary in-home treatment that your family members or close friends need. Also, when the time comes that you loved one calls for home healthcare assistance, do not hesitate in using CDPAP.